Will your Kindness and Financial Success destroy your family? 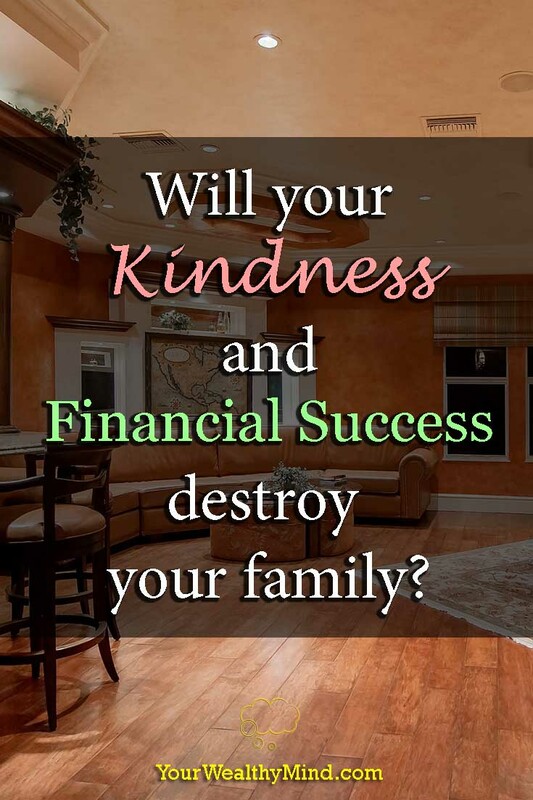 Home » Will your Kindness and Financial Success destroy your family? “Why should we work hard when you’ll give us free stuff anyway?” Buckle down for a moment as this might be a painful lesson if you’re already financially successful (or on the way there). Even though wealth and financial success allows you to help others (family, friends, and beggars) more easily, too much of it can backfire. Instead of giving them wings to fly, you might make them dependent on your handouts. In a third world country like the Philippines, most of the lower or middle class people dream of leaving the country, earn a lot of money abroad, and earn more for their families. For most Filipinos who stay in the country, having an OFW relative feels like winning the lottery. When a couple of dollars can feed a family of four, nearly any job in America or Europe can make the supported family feel rich. As a direct result of that, most OFWs are seen as walking cash dispensers/ATMs whenever they return to their rural home towns while on vacation. Imagine that: After years of sacrifice abroad, you come home to find out that your family only loves you because you give them free stuff. When you start your career as a low-wage employee or when you start your business, you’ll often feel alone with nobody willing to help you in times of need except for your closest friends and family. As you get promoted and become a well-paid executive or when your business takes off and starts to earn millions, however, you’ll suddenly be surrounded by “friends” and relatives you never knew you had (people who want what’s in your wallet and bank account). If you’re financially successful, it feels nice to “help” people out with a little cash. When they get in trouble (often because of their own indiscretions), they can always count on you to bail them out. Of course, their “problems” never end as they never learn to earn what they want and they never learn to properly handle their finances. Then they’ll ask for more and more help until eventually there’s nothing more you can give. Why the ingratitude? If you give cash too often, people will start to think that they’re entitled to it. Instead of empowering them, you’ve simply trained them to ask for more freebies. Your gifts will be used for luxuries and consumption rather than for saving and investing. They’ll think your wealth belongs to them. Think about it: why should they work hard when you’re there to give them everything they want anyway? That doesn’t sound so nice, does it? If you don’t want that to happen, or if you want it to stop, then here’s a lesson from a famous basketball star who learned that lesson the hard way. When you become one of the richest and most successful people in the world, what would you do if once you’ve given everything you possibly can to your loved ones, things that most people in the world can only dream of having… they then tell you that “it’s not good enough”? So again, what should you do? Like what Kobe Bryant said, INVEST in your family. In Thomas Stanley’s study on millionaires, the children who became the most productive and successful did not receive cash gifts and help… EXCEPT when it came to their college education. After all, what’s a better asset than their own earning abilities? In the OFWs’ case, several Filipino finance teachers and bloggers now teach them how to save and invest in stocks or real estate. This also includes lessons on how to start their own businesses. Lucrative work contracts only last so long and the best way to prepare for its eventual end is to build something that can generate wealth NOW and in the future. Now think about your own situation. How can you invest in your family and friends? Can you give them business contacts and opportunities? Can you teach them the things that helped YOU earn financial success? How can you help your family (and friends) succeed by themselves? Only you can answer that. By the way, if you need to teach this lesson to your dependents, then it’s best to share this article and show it to them. It won’t be easy, but they’ll understand someday.